Create a top water commotion they can't resist with the Berkley Spin Bomb. Not only does the Spin Bomb's shape make it ideal when there are smaller baitfish present but it's unique shuttering action when paused is a perfect wounded bait imitator. It's clear plastic props feature a cupped design with an enhanced surface area that can spin at slower speeds with maximum spray. Twitch it, rip it, or simply reel it across the surface for irresistible spraying action. 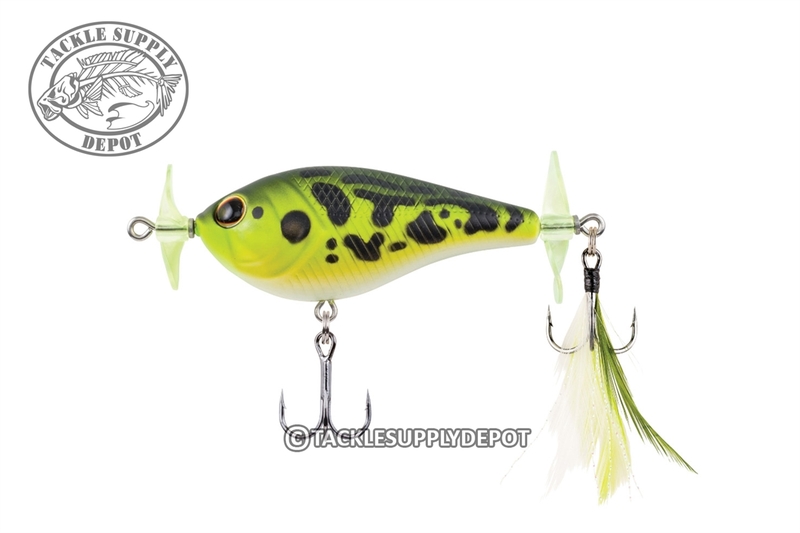 Ideal use around shallow areas with bass feeding on bluegill. Twitch and pause for a commotion they can't resist.